Vancouver, BC - Studio 58 alumnus Josh Epstein returns to Langara to direct Cabaret, a wild, risqué, and sultry exploration of the Kit Kat Klub in 1930s Berlin. The show opens January 31 and coincides with the Studio 58 Annual Giving Campaign. Epstein is one of Canada's most versatile actors. 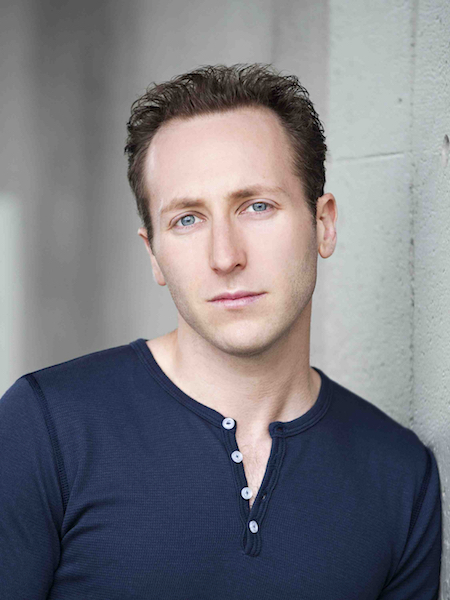 He has appeared in leading roles on stages across the country and has won numerous awards, including four Jessie Awards and the John Hirsch Award for most promising actor from the Stratford Festival. As a writer and producer, Josh has received 25 Leo Award nominations and two Canadian Screenplay Awards 'Best Screenplay' nominations. The Studio 58 Annual Giving Campaign hopes to raise $25,000 throughout the year, allowing the theatre to continue providing students with the best educational environment possible to learn theatre arts. Studio 58 has built a national reputation for providing experiential learning opportunities for students, but they come at a cost. Students can benefit from working alongside industry professionals who act as their mentors. Funds raised help recruit seasoned directors, innovative choreographers, creative designers, and specialty workshop instructors, as well as state-of-the-art equipment. Langara’s Beyond 49 campaign aims to raise $2.5 million to fund three priority areas: student support, tech and innovation, and teaching and learning. Studio 58 began as a small Theatre Arts course in 1965 and classes were first held on the King Edward Campus of Vancouver Community College. The department moved to new facilities on the Langara Campus in 1970 and began to be known as Studio 58 (referring to the room number of the theatre space). The school operates its own theatre and presents four full-length and two indie-style productions annually. Professional directors and designers are hired to work on each production. Studio 58 productions are open to the public and reviewed by the Vancouver media.